Going to classes every day and doing the homework is crucial to learning English. 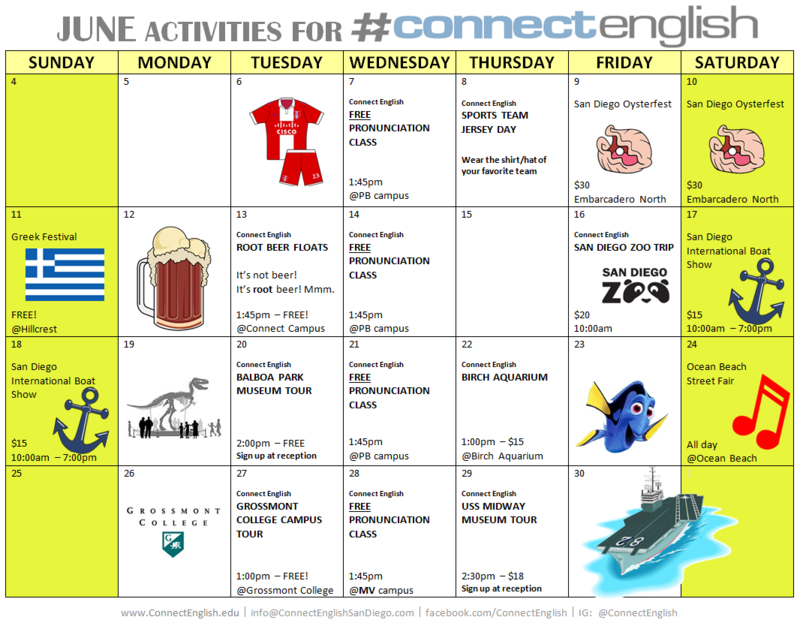 But exploring the city, visiting new places, and talking to natives is very important to improve your English skills. 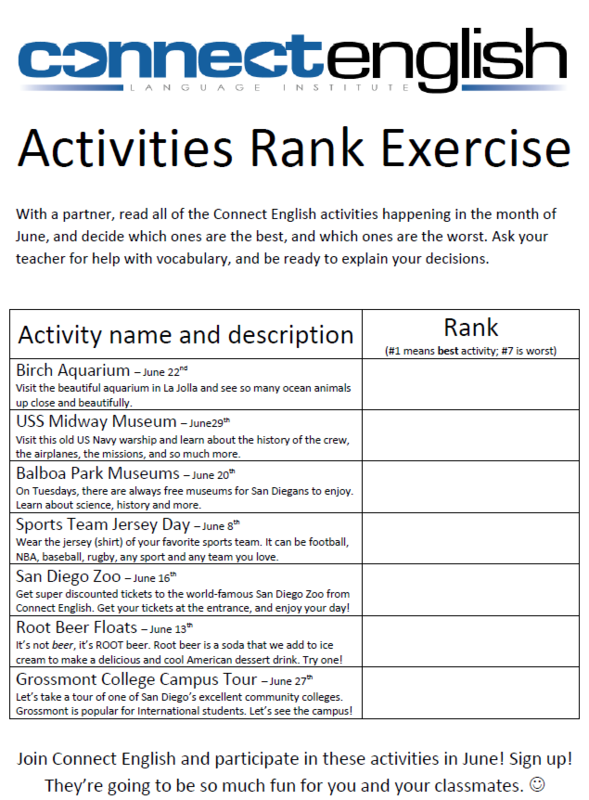 Check out an example of activities we do in class to invite students to these experiences!